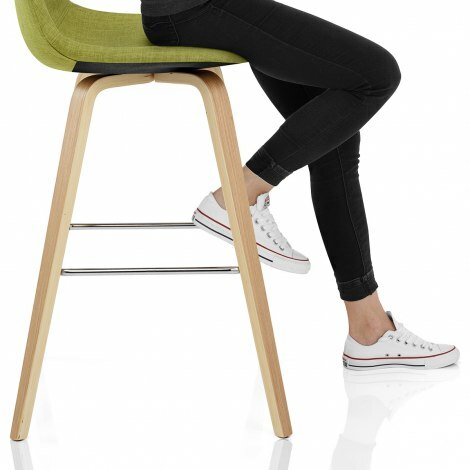 The Reef Wooden Stool Green Fabric is set to bring a touch of contemporary style to your home with its unique and revitalising allure. 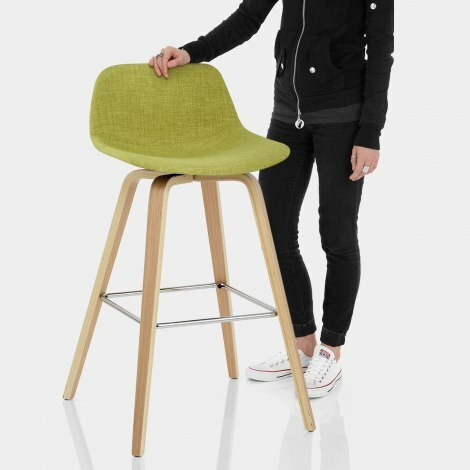 A fresh and funky design offering an original retro appearance in the kitchen, the Reef Wooden Stool is not to be missed. 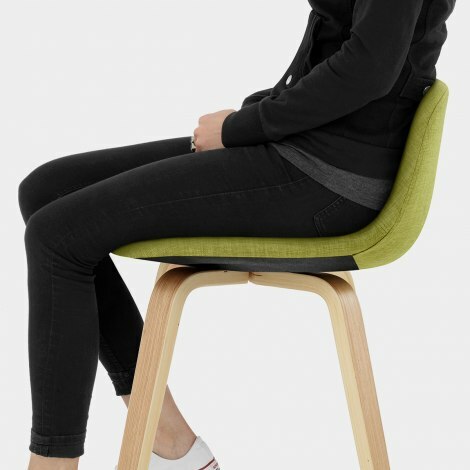 With its padded curved seat and mid height backrest, a comfortable seating experience is guaranteed. In addition, the on-trend green fabric upholstery is ideal for adding a tasteful splash of colour to your interior. Four sleek bentwood legs form a sturdy frame and boast a natural oak finish that complements the seat beautifully. As an eye-catching contrast, chrome bracing bars strengthen the design and provide a practical footrest, whilst protective plugs work to preserve your floors. "Lovely fabric, well made and worth the money"
Excellent delivery, literally next day. Good quality stools to replace some old gas filled ones. These are so much nicer. Perfect height, lovely fabric, well made and worth the money.